What is Pain Block Procedures? 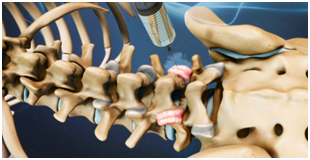 Epidural Nerve are corticosteroid injections, which doctors use to decrease pain and inflammation because of herniated disc, sciatica or spinal stenosis. Epidural nerve block treatment provides effective pain relief without surgery. 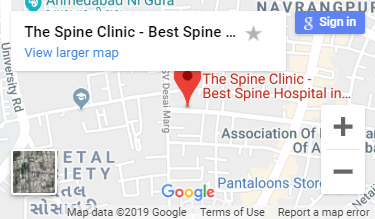 A facet Joint injection is used by doctors to diagnose and treat symptoms of facet syndrome which also known as facet joint osteoarthritis.This spinal pain block procedure helps to treat inflammation,swelling and to diagnose facet syndrome. Nerve root block procedure is an injection of a small amount of steroid and numbing medication. It applies to very specific spinal nerve which exits out of the spinal cord. It can be used in the cervical (neck), thoracic (chest) and lumbar (low back) areas. • When exercises, medicines and physical therapies do not work for pain relief. • Temporary relief in pain. • Temporary reduction in region inflammation, which can be cause of pain. • Many patients feel immediate relief in their pain. • Procedure can be repeated or other procedure can be applied in further requirement. How are pain block procedures actually take place? In Epidural Nerve block procedure skin anesthesia is applied to numb the injection site, a spinal needle is inserted into epidural space. To maintain accuracyand safety fluoroscopic guidance is used with the use of contrast agent so that needle placement could be confirmed. Local anesthesia and corticosteroid anti-inflammatory medication are delivered at the desired place so that swelling could be controlled and pain could be relieved. Epidural nerve block procedure takes 20 to 30 minutes, followed by 45 minutes of recovery time. In the procedure of Facet joint injection, the patient lies on the table after the cleansing; the doctor treats a small area of skin with numbing medicine. The physician uses fluoroscopy so that he could be sure about the small needles into the facet joint. For the confirmation of needle in the joint, a small amount of contrast dye is injected. After the confirmation small mixture of anesthetic as lidocaine with anti-inflammatory medication as steroid/cortisone is then slowly injected into the treatable joint. In the process of Nerve Root block procedure patient lies on the table, after cleansing skin, the doctor numbs the skin with the local anesthetic agent. With help of real-time X-Ray and contrast agent, the physician will find the exact nerve which is the source of pain. Local anesthesia and corticosteroid anti-inflammatory medication are delivered at the desired place so that swelling could be controlled and pain could be relieved. In this pain block procedure the injection procedure is also brief usually less than 10 minutes. What should I expect after pain block procedure? After procedure patient should rest for atleast thirty minutes and then physician can ask for some movements or activities, which could usually provoke their pain. The physician observes that patient may not feel pain relief for first few hours, it depends on the condition that exact joint has been targeted or not. Some of the patients feel numb, weak or strange in their neckor back for a few hours after the injection. Maximum patients feel pain relief after 12 to 48 hours of the spinal pain block procedure. Who should not have Spinal pain block procedure? Patients who are prone to infections or bleeding issues should avoid spinal pain block procedures.